My family recently returned from a trip to Las Vegas. We had traveled there to attend my brother in laws wedding. 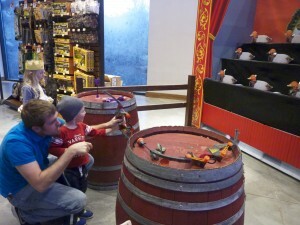 While Vegas would not be my first choice for a family vacation we were able to find some fun activities to do together in between the wedding events. If you ever find yourself in Vegas with young children here are five fun places to visit. 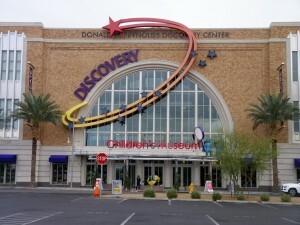 If you do one thing when you are in Vegas with children visit the Discovery Children’s Museum. This place was amazing. 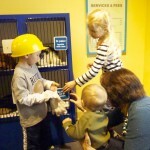 I love to visit children’s museums when we travel and so we have been to quite a few now. 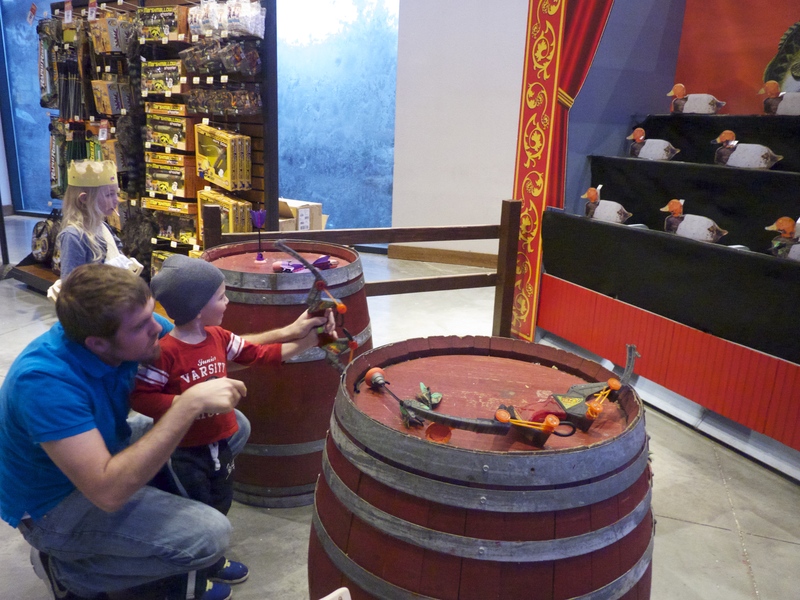 This one was hands down the best kids museum we have ever been to. The exhibits were well thought out and engaging. There was so much to see, do and explore. Whoever designed this place definitely understands children. 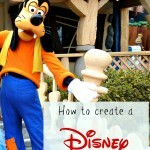 There was so many opportunities to be active and let children’s imaginations run wild. Honestly, my husband and I had just as much fun as the kids. 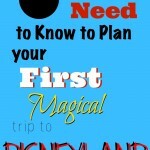 If we lived close I would definitely have an annual pass. I could write a whole post telling you about all the wonderful exhibits but instead, I’ll just invite you to visit their website and show you some pictures from our visit. 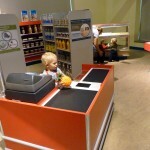 Role playing in the grocery store. 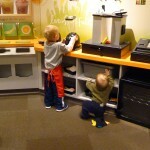 Jamba Juice in Eco City. The vet room were they fixed up patients. The snowy day in storybook land. 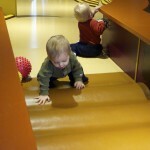 The babies loved playing in toddler town. 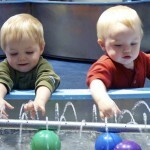 The water world room was a favorite for all my children. The water room was thrilling for Big Boy. 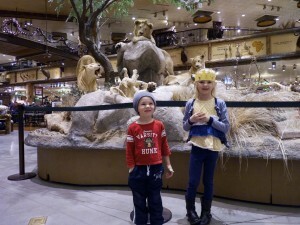 This Bass Pro Shop was huge and had lots of fun things for our kids to look at. They have a huge fish tank filled with local fish. Also many displays with stuffed animals. 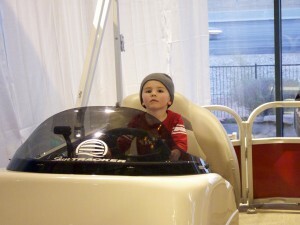 Our children also enjoyed looking at all the boats, four wheelers, and other riding vehicles. Since it is the holiday season they also had a Winter Wonderland area. Our kids were able to meet Santa and take a free photo with him. 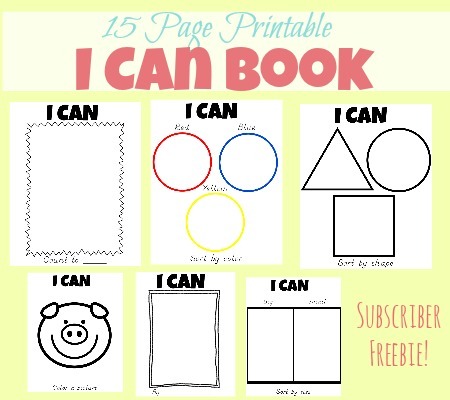 They also had many fun activities and a craft the kids could make. The Hoover Dam is located just 30 minutes outside of Vegas and is amazing to see. 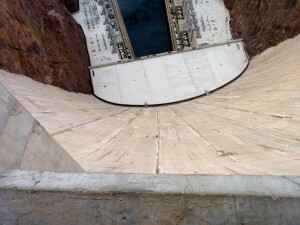 I have seen pictures and documentaries on the Hoover Dam before going but seeing it in person was so worthwhile. It is so grand and really an engineering marvel. 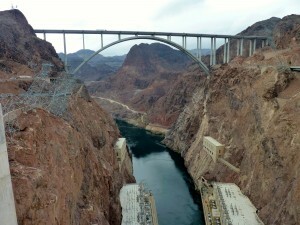 The Hoover Dam bridge is also incredible. We drove over it before stopping and I had no idea how high up we were. If you are brave enough they have a walkway you can take and see over the side of the bridge. I’m sure the view would be amazing but despite my children’s pleadings I was nowhere near brave enough to attempt this. 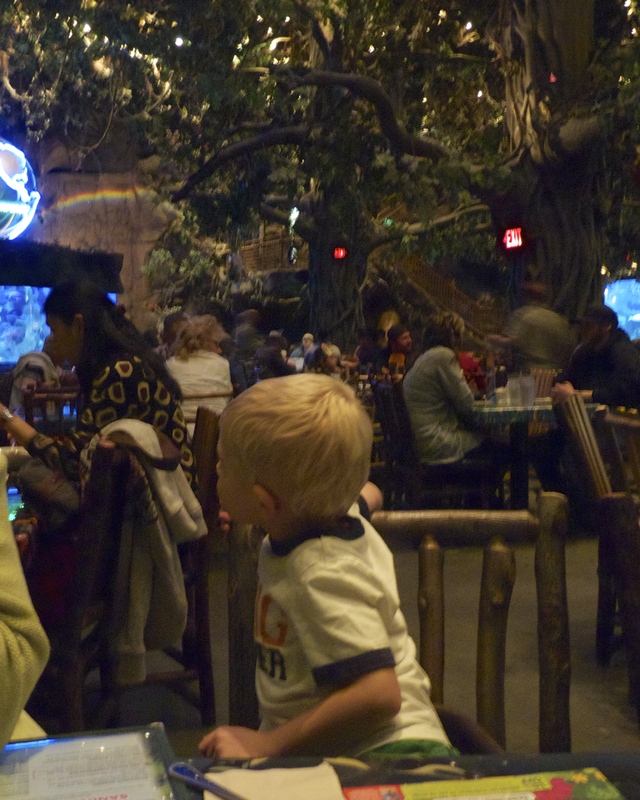 The rainforest cafe is located inside the MGM Grand Hotel. 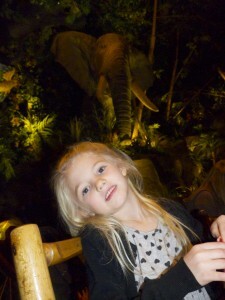 The jungle scenery was so fun for my kids to look at. They were entertained throughout the meal just looking at all the jungle animals in their habitats. 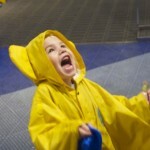 Every hour there is a thunderstorm. The restaurant is a little noisy but so are my kids so they didn’t mind at all. Big Boy was having so much fun he could barely focus to finish his meal. The meals here were huge too. My older kids split a pasta kids meal. They both ate until they were full and we still had leftovers to bring home. M& M world is located on the Vegas strip. This store has four floors and sells everything M&M you could ever imagine. The best part of visiting this store was that they offer a free 3D movie on the third floor which was very fun for the kids. On the fourth floor they also had a race car and you could meet and take pictures with the green M&M. These were all the activities we had time to do in our short visit to Vegas, but I’m sure there are many fun things we didn’t get to experience. 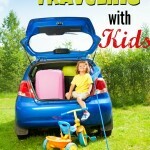 What are your favorite activities to do with kids in Vegas? Please comment and share!